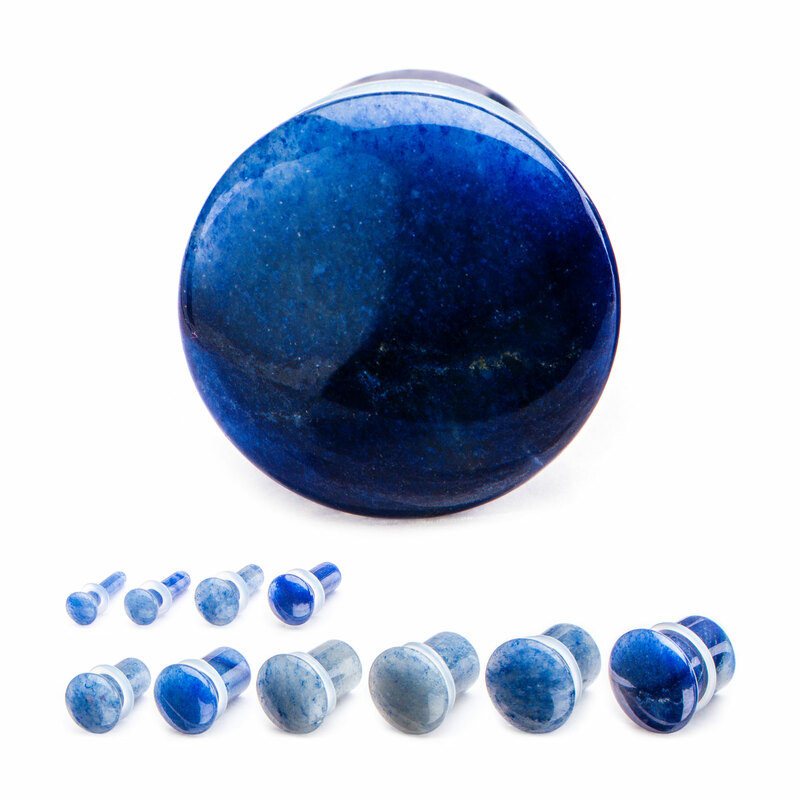 Single Flare Blue Aventurine Stone Plugs. Includes Clear Silicone O ring. Smooth and Polished finish. Due to the nature of organics there will be variations in the material. Sold Individually.